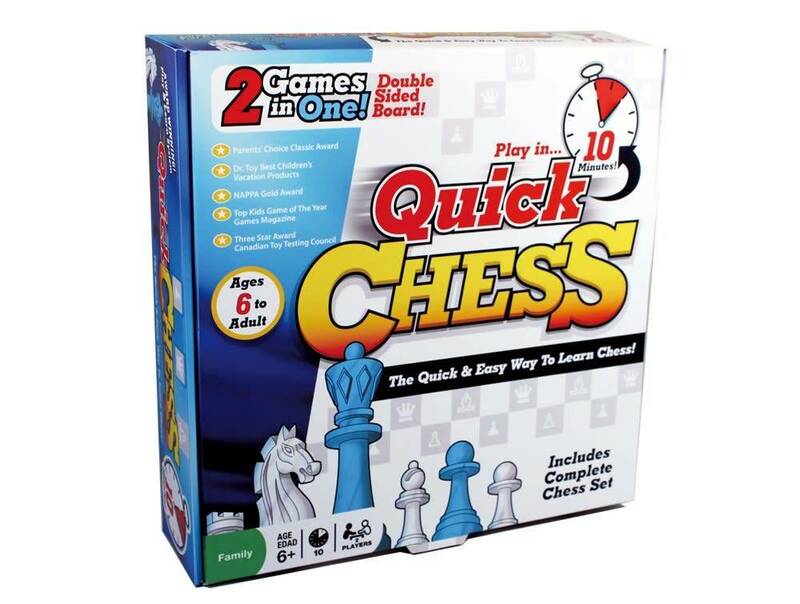 Ingenious play and learn system teaches anyone how to play Chess. Play 8 different games that teach you how each piece moves. Quick reference mat is placed under the board and reminds you how each piece moves. 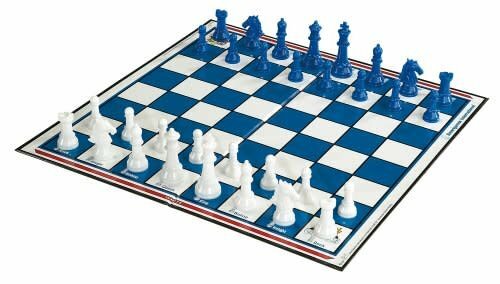 Once you master each piece, you’re ready to turn the board over and play a traditional game of chess! 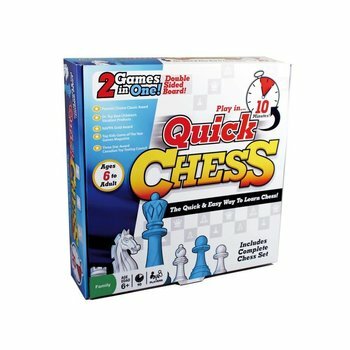 Includes a full size chess board and all 32 pieces, quick chess game, quick reference mat, and rules. Ages 6 and up.